A week-long case sale of wines at Langley’s Neck of the Woods Winery, which begins March 26, looks like a harbinger of bargain wines for BC consumers. The winery is offering four varietals – Chardonnay, Gamay, Merlot and Zweigelt - at $99 for a dozen. Consumers can buy mixed cases at the same discount. This works out to just over $8 a bottle. The winery is also offering a 20% discount on case purchases of any of the other four wines in its tasting room. Plus, there is a six-bottle sampler pack for $69.99. Coincidentally, that announcement came on the heels of an offer of bargain-priced bulk wines from the Holman Lang group of wineries. The group circulated an email among other wineries, offering a total of 95,970 litres (the equivalent of 10,650 cases) of wine. The wines are selling anywhere between $2 and $7 a litre. This is not an offer to consumers directly. The 21 wines are not yet bottled. Other wineries have begun to take up some of the offer, likely to blend the wines with their own budget brands. It is not unusual to see wineries selling some wines in bulk, either to move surplus wines or to move wines that are left over when the main blends are done. Another premium Okanagan winery is currently selling a modest amount of red wine (Syrah and a Bordeaux blend) that is surplus to its planned production from the 2009 vintage. The volume offered by the seven-winery Holman Lang group is a larger than the usual bulk offer seen in the Okanagan. It is perhaps a sign of the softer market for domestic wine during the last year. Thanks to the slowdown in the economy which began in 2008, many BC wineries have had to get creative to keep their wines moving and not clogging up their warehouses. It does not help that the economy slowed down just as recently planted vineyards have begun to produce. 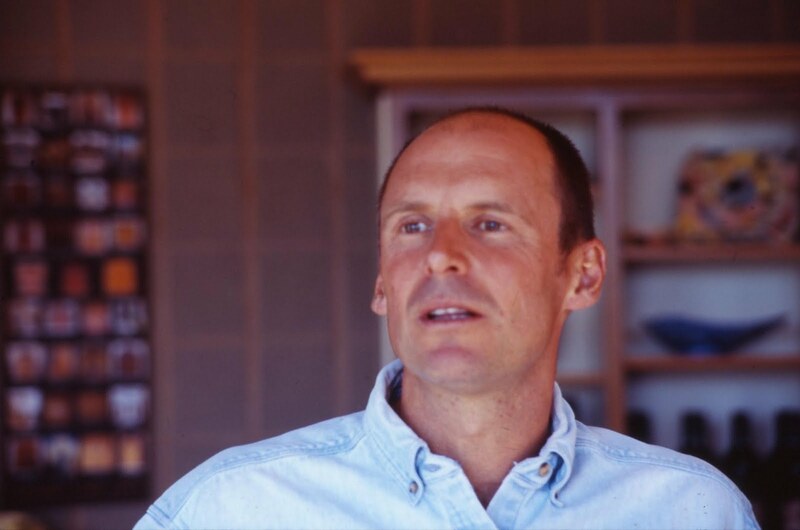 Bill Collings, a grower at Okanagan Falls, has produced an interesting analysis of grape production trends in the current newsletter of the British Columbia Amateur Winemakers Association. In 2008 the grape harvest was estimated to be 20,000 tons. “That translates to about 12 million litres of wine,” he writes. Many established producers have already responded by rolling back some wine prices, by releasing new lines of value-priced wines and by exporting to markets that were being ignored when BC consumers were drinking almost all BC wines. These strategies are serving the established wineries well. But this is a tough market for wineries that have not been around that long and have just started to build followings. That seems to explain the bargain offerings from Neck of the Woods and from the Holman Lang group. With the significant exception of Lang Vineyards (opened 1990), the other Holman Lang wineries have been open for less than 10 years: Stonehill (2001), Spiller (2003), Mistral (2005), Soaring Eagle (2007), K Mountain and Zero Balance (2008). That is hardly enough time to establish strong consumer and restaurant followings. That’s why there is 10,000 cases of wine that is not even bottled. Neck of the Woods also has an identity issue. The winery, on 232nd Street in Langley, opened in 2002 as Glenugie Winery. After the death of founder Gary Tayler, it was purchased in 2008 by Ewen Stewart, a Whiterock developer with a real estate project and another winery project in Abbottsford. With the help of a marketing consultant, the Glenugie name was replaced – not once, but twice. The Neck of the Woods label only appeared last fall. The winery needs to build traffic at its Langley location and bargain wine prices are the tried and true way of doing that. Thus may be a tough time to be in the wine business but it is a good time to be a consumer. In a daring move that their peers might even called foolhardy, Road 13 Vineyards has decided to phase out several of its major varietals and to switch to releasing blends. Out: Riesling, Chardonnay, Syrah, Merlot and Cabernet Sauvignon. In: Stemwinder (a white blend) and Rockpile (a red blend). These join the winery’s other blends, Fifth Element (red), Honest John’s White and Honest John’s Red. He is right. Time will tell whether the consumers are ready for this. Blends, in fact, are in the best tradition of wine. The producers of Bordeaux, as an example, have been blending varietals for centuries in the knowledge that the whole is better than the parts. Europe’s traditional producers (with the significant exception of German Riesling producers) have always released wines with labels naming the site or the appellation and never the varietals. It was the New World – notably California, Australia and Chile – that educated their consumers with the varietal on the label, not the site. They were so effective that the French over the last decade, and even the Italians, began releasing named varietals as well. Consumers had been trained to want to know what grapes they were drinking, not where the wine came from. New world winemakers knew, of course, that they were sacrificing quality sometimes by not blending, so they quietly did a little blending. In the United States and in British Columbia), a named varietal need contain only 85% of that variety. That gives the winemaker the chance to blend in up to 15% of something else if it improves the wine (as it usually does). Road 13 is saying: why be just a little pregnant? Rockpile (named for the vineyard) will be released April 1 at $24.99. It is a blend of Syrah, Merlot, Cabernet Sauvignon, Cabernet Franc, with a touch of Viognier. He also makes the point that “blending is how you get wines to represent their place, rather than trying to make another ‘Old World’ style Riesling or another ‘New World’ style Syrah. Bartier is arguably one of the best blenders in the Okanagan. Now we will find out whether the consumers will embrace his skill or default to a safe varietal. Road 13 Rockpile 2008 ($24.99). The winery has released 4,500 cases of this blend, around a quarter of Road 13's entire production, so the wine had better be good! And it is. Dark in colour, it begins with aromas of vanilla, mocha and red fruit. On the palate, there are flavours of plum and mocha lifted with a hint of pepper (this is after all a 60% Syrah wine). It is full on the palate, with long, ripe tannins, and it has a lingering finish. The blend, in addition to Syrah, is 19% Merlot, 10% Cabernet Sauvignon, 6% Cabernet Franc, 2% Zinfandel, and 1% each of Viognier, Mourvedre and Grenache. 90-91. Road 13 Stemwinder 2009 ($21.99). The winery has released 1,837 cases of this wine, an unusual blend of 60% Chardonnay, 32% Sauvignon Blanc and 8% Chardonnay Musque. The wine begins with subtle aromatics (banana, canteloupe, herbs) and delivers flavours of melon and tangerine. The texture is soft (perhaps a touch too soft) but the impression is that this is a delicious wine and tastes like more. 89. Eliminating varietals creates a bit of a challenge to those competitive-minded tasters who like to line up several wines side by side and see how they compare. I'd suggest tasting the Stemwinder along side Tinhorn Creek Oldfield's Selection White, Blasted Church's Hatfield's Fuse, Joiefarm's A Noble Blend and Stoneboat's Chorus. Rockpile might be tasted against Mission Hill's Quatrain or Fork in the Road Oliver Block 249 Red. A wine-loving economist from Colombia, Xavier Bonilla, has taken over as the new owner of Cherry Point Vineyards, one of the stalwarts of Cowichan Valley wine production. 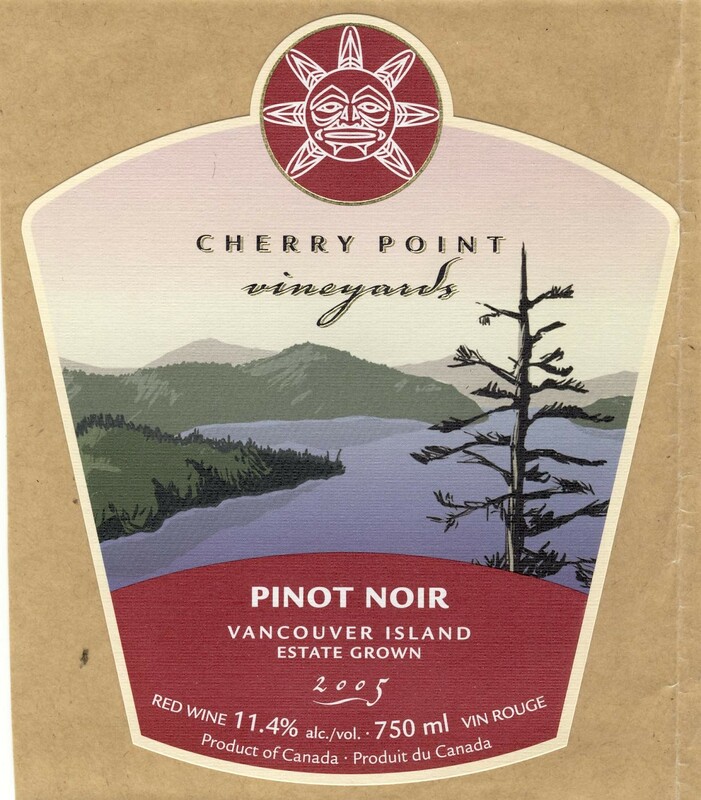 One of his first moves has been to rename it as Cherry Point Estate Wines, to underline a commitment to making only estate-grown wines. The only exception might be Cherry Point’s legendary blackberry wine. Traditionally, this has been made from wild berries purchased from freelance pickers. However, the government has required the winery to plant two acres of blackberries. 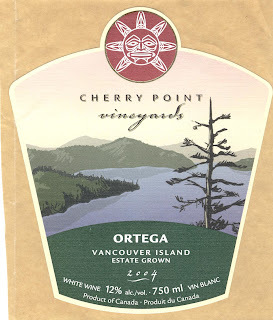 This so that Cherry Point (and others making blackberry wines) complies with a regulatory requirement under the land-based winery license rules of growing some of its own raw material (however stupid it is to force anyone to plant more of an invasive species that would take over Vancouver Island if allowed). Cherry Point was opened in 1994 by Wayne and Helena Ulrich. When they retired 10 years later, they sold the winery to the Cowichan Indian Band. The band had been motivated by the Osoyoos Indian Band’s success with Nk’Mip Cellars, the first Aboriginal-owned winery in North America. Perhaps because the Cowichan had not, unlike Nk’Mip, partnered with a major wine producer and marketer, Cherry Point has not experienced Nk’Mip’s success in sales. Last fall, after running it for five years, the Cowichan put the winery on the market. Bonilla, as it happens, had tried to buy Cherry Point five years ago but those negotiations fell through. He and his wife, Maria, were thinking of returning to Colombia last fall when Cherry Point came on the market again. “I said, let’s go, this is what I have wanted all my life,” says Bonilla, who was born in 1947. He is a graduate of the University of Wisconsin with a master’s degree in agriculture. He has worked as an agricultural economist for three Colombian presidents while also operating a 50-head dairy farm an hour outside Bogota. Over the years, he became increasingly interested in wine, acquiring a good knowledge of Spanish wines during several trips to European vineyards. He even canvassed some potential vineyard sites in Colombia and Ecuador. However, in 2000 Bonilla and his wife, trained as a translator, moved to Vancouver so that their two children could enrol at the University of British Columbia. To put bread on the table, as he puts it, he went into business for himself in West Vancouver, first with a professional lawn care franchise, then a coffee-roasting business and finally a restaurant. As each business succeeded, he accepted offers to sell them. With their children almost done at university, the Bonillas would likely have returned to Colombia (they still have a house there) if Cherry Point has not come along last fall. Bonilla and his new winemaker, Australian-trained Dean Canadzich, are not shaking up the Cherry Point portfolio but plan to continue producing the eight or so wines made from the 12 varietals grown in the 19-acre vineyard. In addition to Pinot Noir, the vineyard grows Ortega, Pinot Gris, Siegerrebe, a little Gewürztraminer, Agria and Castel, among others. Some underperforming vineyard blocks are being replanted with two new Swiss-developed hybrids: an aromatic white called Epicure and a red called Petit Milo. One possible change in style will involve the blackberry wine. 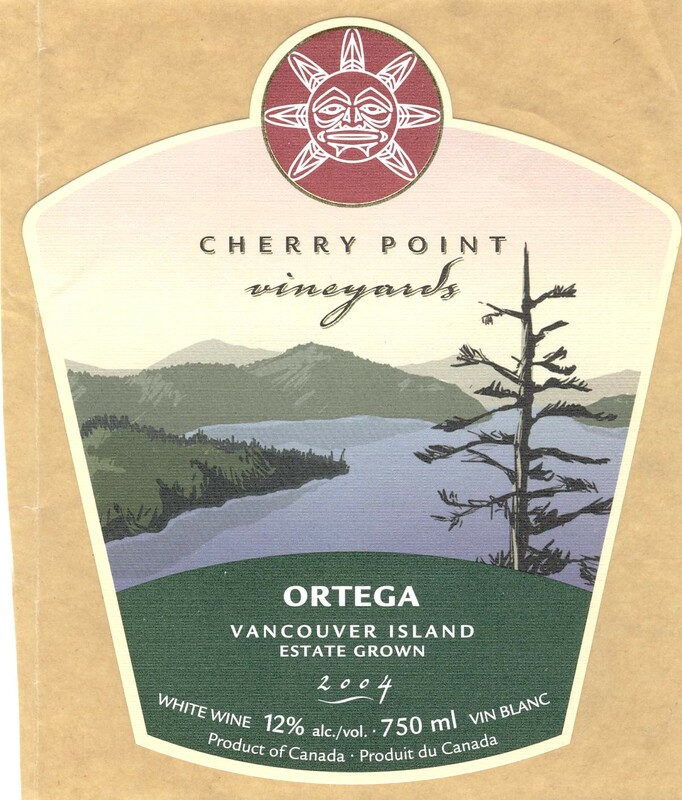 Currently, Cherry Point offers Cowichan Blackberry and Solera Blackberry. Both are port-style wines. The Solera is a blend of several vintages from a succession of barrels in the time-honoured solera method of sherry-making. Bonilla is considering using the solera process for all of Cherry Point’s blackberry wine. Using her experience from their West Vancouver restaurant, Maria Bonilla has taken over Cherry Point’s Bistro. A popular wedding venue and a favourite stop for wine tourists, the bistro was launched by the winery’s original owners and expanded by the Cowichan. It has proven one of the winery’s strongest connections with the community.